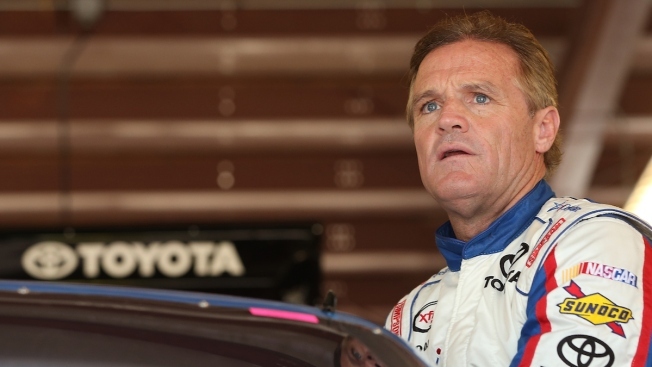 Kenny Wallace, driver of the #20 US Cellular Toyota, during practice for the NASCAR XFINITY Series U.S. Cellular race at Iowa Speedway on July 31, 2015 in Newton, Iowa. Kenny Wallace has made more starts in NASCAR's second-tier circuit than anyone — and yet he might be known more for his TV work than his racing career. Wallace will get one final weekend in the spotlight before retiring as a NASCAR driver, though he will continue to race in dirt-track events around the country. Wallace will make his 547th and final NASCAR Xfinity start Saturday night at Iowa Speedway. Although Iowa has become a showcase for NASCAR's youngest drivers, the attention will be focused on the 51-year-old Wallace, the brother of track designer and Hall of Famer Rusty Wallace. "I'm looking around and there isn't anybody in the sport from my days. I mean, Jeff Gordon. There's nobody else. They're all gone. Mark Martin is gone. Jeff Burton is gone. All these guys are quitting in their 40s now," Wallace said. "Hell, I'm just done. You know what I mean? I'm just done." Wallace already gets much more air time as an analyst for Fox Sports. But the reason he has become such a popular TV figure is not only his gregarious persona but the experience gained from nearly three decades spent racing stock cars. Wallace first made a name for himself by winning the then-Busch series Rookie of the Year in 1989 — well before many of his current competitors were born. Wallace went on to make 344 starts in Sprint Cup and was largely a full-time driver from 1996-2003. 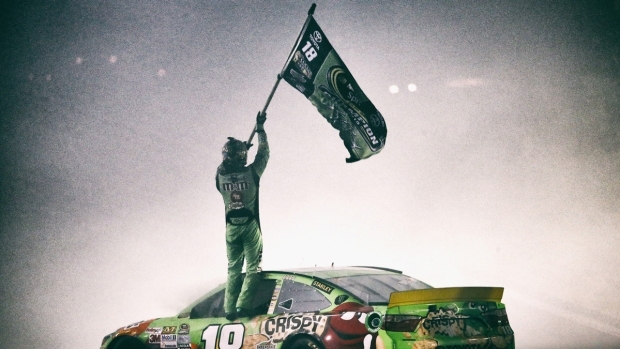 Though he never won a race in NASCAR's top-tier series, Wallace made close to $16 million in career earnings. Wallace has been much more successful in the second tier, with nine career wins, 66 top-5s and 173 top-10s — the seventh-most in Xfinity competition. He'll have the advantage Saturday of driving the powerhouse No. 20 car for Joe Gibbs Racing, which posted wins for Erik Jones in Texas and Denny Hamlin in New Hampshire this season. Wallace was the grand marshal of Friday's K&N Pro series race, which was named the #ThanksKenny 150, and the track erected a billboard in his honor behind the second turn. "Being able to run (the No. 20) car was very important. Pretty cool to run your last race with a national sponsor," said Wallace, who talked about how exhausting raising money simply to race has become at his age. "It (isn't) like that's 'Bubba's Chicken' on (the car)." But for all the hype about Wallace and his impending departure, Chris Buescher headed to Iowa as the favorite. Buescher got a 25-point lead over Chase Elliott for first in the XFinity series, and he won the first race at Iowa Speedway back in May. Still, Elliott won the series title last season — and he's picked up 11 points on Buescher in just the last three races. "It's been a little rough these last couple of weeks, but we've been making a little bit of progress," Buescher said. "We feel comfortable that we have something underneath us that is a really good starting place." The one thing that appears certain is that an Xfinity series regular will win the race. With a Sprint Cup race set for Pocono on Sunday, no drivers competing for Cup points will run this weekend at Iowa. Jones is scheduled to compete in the Truck race in Pocono earlier Saturday and fly to Iowa in time for the XFinity race. Drew Herring will qualify the No. 54 car for Jones while he's in the air.